Every year, the Lodi District Chamber of Commerce shows their appreciation to our members by hosting a Membership BBQ. Come enjoy hamburgers, hot dogs, and a huge networking event ON US! 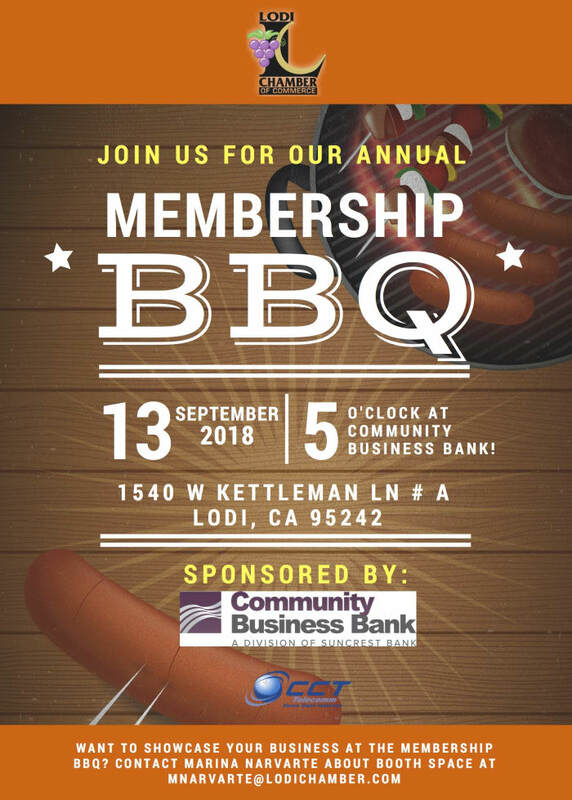 This year, the Membership BBQ will be located at Community Business Bank on Kettleman Lane. So save the date: Thursday, September 13 from 5PM – 8PM! Members also have an opportunity to markert their businesses at this event. Interested in a FREE booth space? Email Marina Narvarte at MNarvarte@LodiChamber.com. For more information on this event, click here.